89 yrs of Awesomeness | Inside the mind of lulupants! 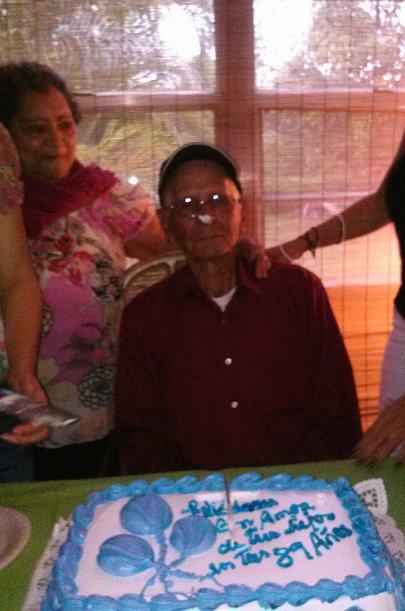 Sunday we celebrated my grandfather’s 89th birthday. He might not be all there because of his Alzheimer’s but I’m happy to have him around yet another year. It was very nice to celebrate his birthday and see family members I don’t regularly see on an everyday basis. We are such a typical large Hispanic family that we never really see everyone all the time but for occasions like this we get together and its amazing to have all these different types of personalities under one roof. May grandpa live many more years. Cheers to a wonderful man! !